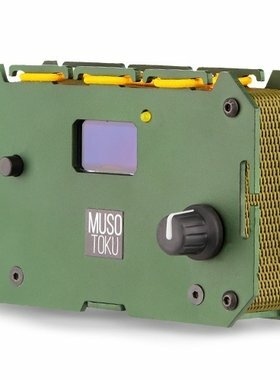 The Critical-XR power supply has a color TFT display with a selectable color scheme. The display is large and very easy to read. Volt, Ampere, Hertz, duty cycle (%) and setle display (STL). It also displays the current date and time. 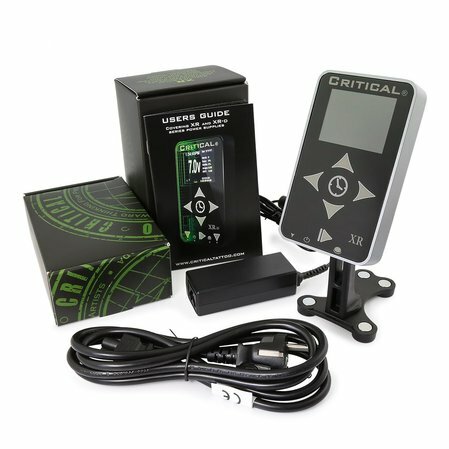 The Critical XR contains an oscilloscope and offers a visual possibility to adjust the tattoo machine. The touch user interface is precisely adjusted. Jump start and continuous mode can be individually assigned to the preset or output buttons. The XR has a machine connection. The voltage preset can be stored for 2, 4 or 6 machines. The memory retains the settings even after the AC adapter is turned off. The pedal override button allows the machines to be operated without a foot switch. The case is made of CNC billet aluminium. The holder is very flexible.